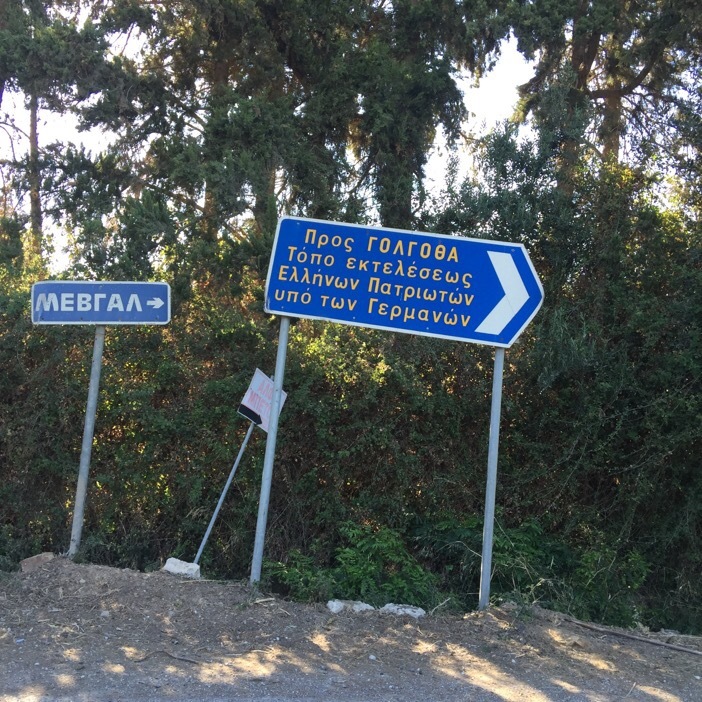 The locals called this place Golgotha, a hill overlooking the village of Agia, outside Hania, where the Nazi Germans brought prisoners and rebels– those fighting against the Germans during the occupation years of 1941-45. The Germans set up a pole where one by one, thousands were brought to this spot and shot by a firing squad. 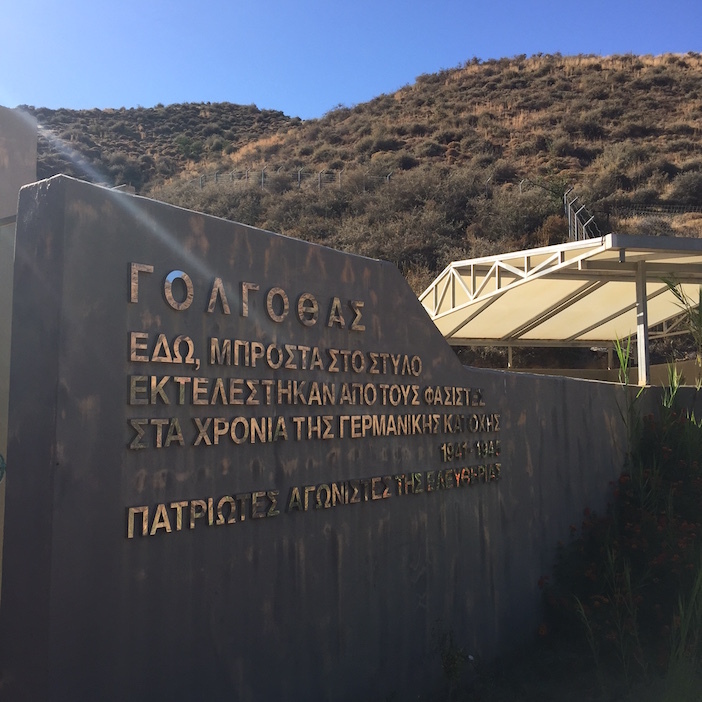 The hill was “conveniently” located next to the local prisons, which were also used by the Nazis to hold those accused of being rebels or aiding the Allied soldiers as they fled Crete during the Battle of Crete in 1941. 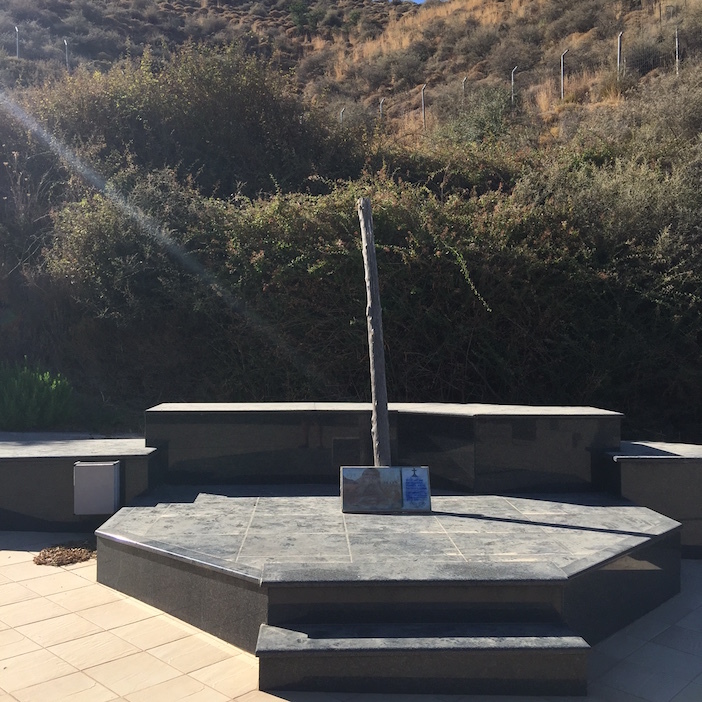 The execution spot of thousands of Cretan freedom fighters and innocent civilians. There’s a memorial there today, with the original pole where men and women– and even children– were tied to and assassinated. I saw the sign while driving back from a visit to a friend’s winery and I was intrigued by the Biblical reference to Golgotha, the place where Jesus was crucified. The analogy of a savior dying for mankind, with freedom fighters dying to keep their homeland free from tyranny for future generations was evident.